While there were a lot of WWE fans who believed that Undertaker retired last year after he lost a match to Roman Reigns at WrestleMania 33. He placed his black jacket, gloves and hat in the middle of the ring, giving a sign of departure. However, he returned at WrestleMania 34 after John Cena's constant provocation. He came and destroyed Cena's streaks in less than three minutes. Then he appeared in a Casket Match at the Greatest Royal Rumble in Saudi Arabia against Rusev. 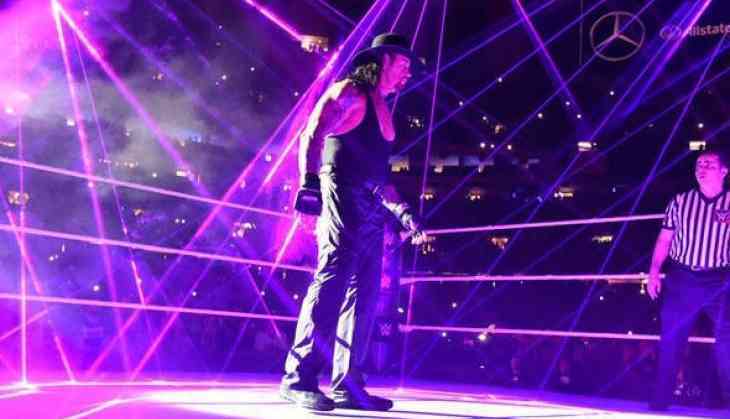 Curt Angle stated on Facebook that the fans haven't yet seen the Deadman's last match. He said: “I think he will [return]. He looks great. He’s an amazing athlete.” Rumours are rife that the taker will return to the ring this year in Money In the bank. Undertaker is the seven-time world champion. He has fought some of the remarkable matches likes with Shawn Michaels, Triple H, Kane and many more.